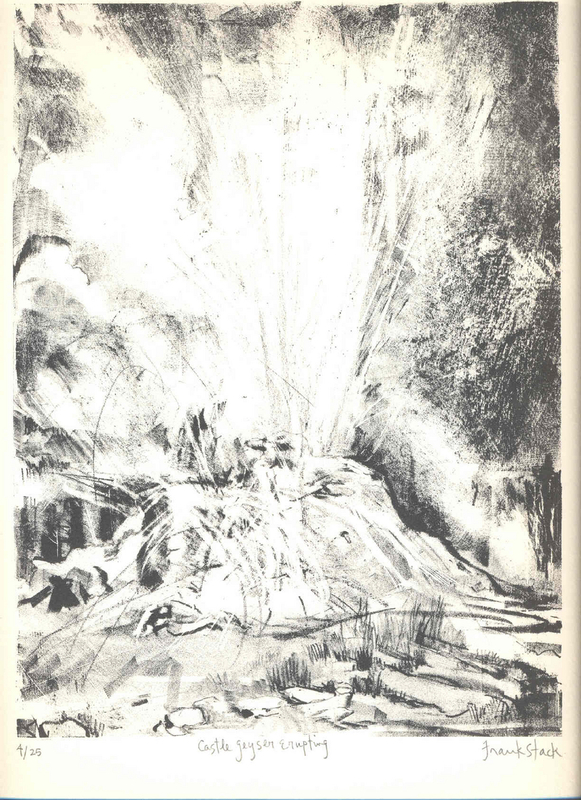 This original pencil-signed, hand-pulled lithograph represents the erupting Castle Geyser in the Upper Geyser Basin, Yellowstone National Park. The image was created on stone during the artist's visit to the park in 2005. Please note, the image shows only a small part of the margins. This impression is numbered "4/25", indicating that it is one of a limited edition of only 25. Image size: 10.75" x 8", Sheet size: 15" x 11".